George Davis, Inc. delivers an exceptional design and construction experience that surpasses our clients’ high expectations. Our team works with integrity, efficiency, in a profitable manner, and is compensated fairly for their contributions. George Davis, Inc. positively impacts our community and prospers as a result of our trusted reputation. Founded in 1988 by George, then a college student, George Davis, Inc. was born of George’s desire to simply “be his own boss.” As a student at Babson College, a respected business school in Wellesley, Massachusetts, George was determined to bring a higher level of professionalism to what has always been an industry managed in the front seat of pick-up trucks. During the early years George Davis, Inc. (then George Davis Builders) focused mostly on small renovations and additions, developing a reputation for honesty, reliability and fairness. It was during these early years that we began to develop our systems as a Company that have helped us to grow, without losing the personal touch that made us successful. In 1992, George purchased a business-bay condominium in Dennis, and moved the business out of his garage and spare bedroom and into New Venture Drive. George Davis, Inc. stayed in this location for approximately fifteen years. Over those years, the work that we did evolved into much larger sized projects, including substantial additions and entire home remodeling, as well as new homes and some light commercial work. We also established ourselves as a Design-Build-Renovate Firm. Though we still happily collaborate and work with architects, we also manage the majority of the design work for the projects we build. 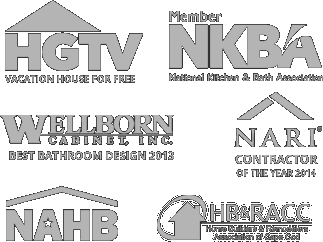 In late 2005, we added kitchen cabinet design and sales to our offerings, allowing our clients yet another level of service and a one-stop shopping experience. In the fall of 2006, George purchased a beloved, yet dilapidated historic building in the center of Yarmouth. In March 2007, construction began on the renovations to this property. During the course of the next 10 months we demolished approximately two-thirds of the building, while preserving the historically significant portions that date to the mid-19th century. The result is a gem in the gateway to Historic South Yarmouth. We are very proud to have had the opportunity to resurrect this property, and were very pleased to open our administrative offices here on February 1, 2008. In January of 2011, we also finished our kitchen showroom and design center. Since then, we have continued to grow and expand. In 2019 we are proudly celebrating 31 years of business and look forward to celebrating 31 more years! Want to work with us? Download an application here.